Akhanda Yoga. A holistic teaching approach to yoga, practicing a path to wholeness. 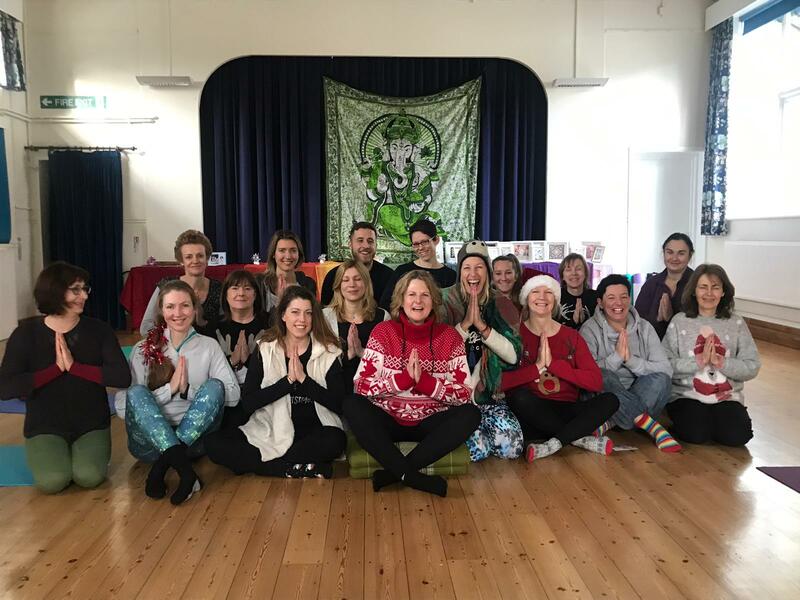 At Blackheath Village Hall, Blackheath Lane, Guildford, Surrey. GU4 8RA. Saturday ~ 8.30am – 10am £10 Drop in. Please arrive 10 minutes early to settle on the mat. 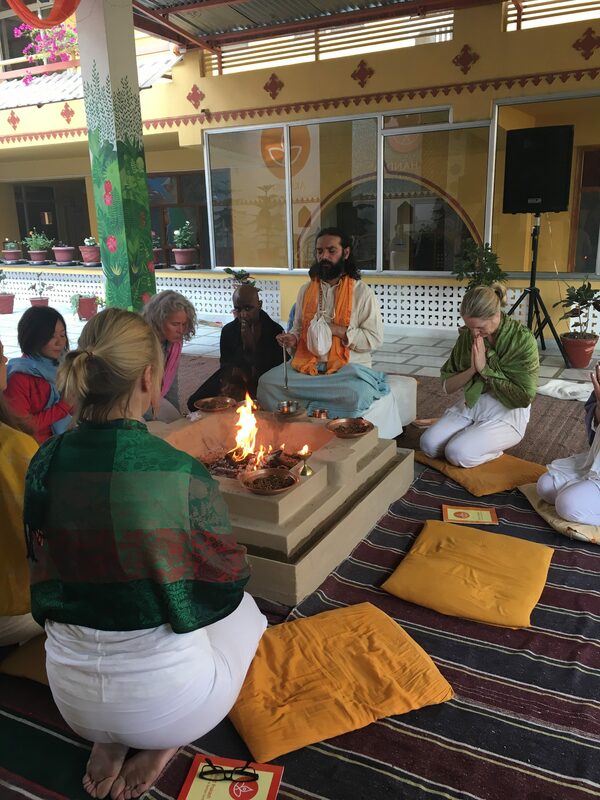 We are away from 16th March to 1st April, training in Hatha Rarj Yoga with Yogarishi Vishvketu at The Anand Prakash Yoga Ashram. Offering students, a diverse toolkit of techniques that yoga has to offer. 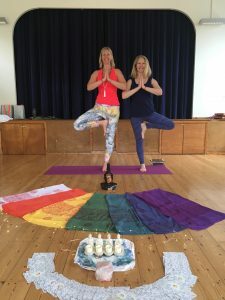 A balance of effort and allowing, lunar and solar practices, yin and yang, for physical and mental wellbeing, connecting you to your higher self. 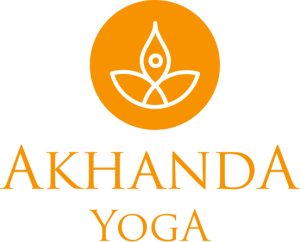 Akhanda Yoga is a unified, joyful practice of balanced sequencing. 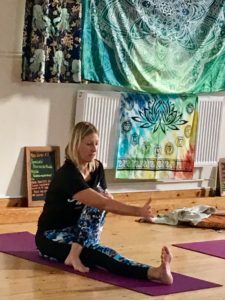 Standing, Crouching, Sitting, Laying on the belly, Laying on the back, Arm Balances and Inversions. Philosophy:- Themed classes, threading through the practice, encouraging contemplation. Sal and Jacqui completed their 200 hours Akhanda Yoga Teacher Training, in London and at Anand Prakash Ashram, Rishikesh India. 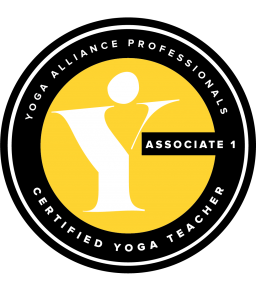 They are insured members of The Yoga Alliance Professionals. 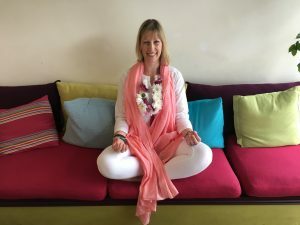 Their Yoga teacher and mentor is Julia Anastasiou ~ Yog Sundari. 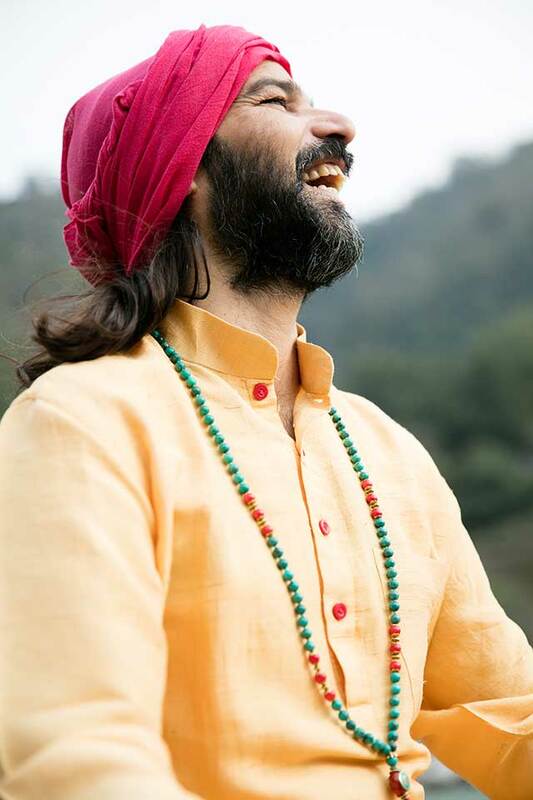 Vishva-ji is the founder of Akhanda Yoga, known for his joyful teaching inspiring other to connect to their true nature. To read more about Vishveji and Yog Sundari or to train in Akhanda Yoga, please see the links below. Sal Worringham ~ Padma Devi, which means Lotus Goddess, is a joyful, local complementary therapist of 21 years. 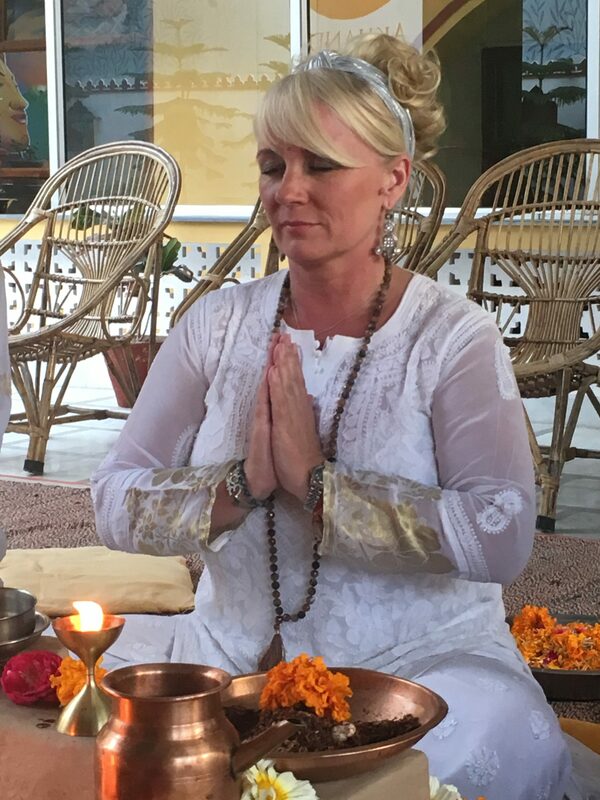 Trained in The Bowen Technique and various healing methods. EFT and EMO, with the Guild of Energists. 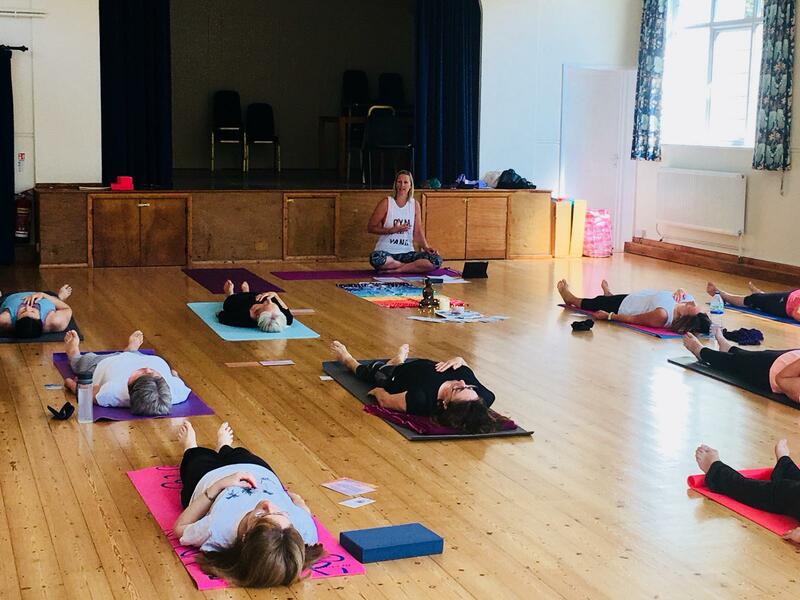 Teaching 4 meditation classes a,t The Willow Clinic, Sal continues to Immerse in a daily personal practice of Yoga, Meditation, Mantra and Wellbeing. Continuing to learn and explore trainings that are always compassionately shared with her students. With a deep respect and friendship Jacqui and Sal have come together to offer a safe exploration into teaching Akhanda yoga classes.